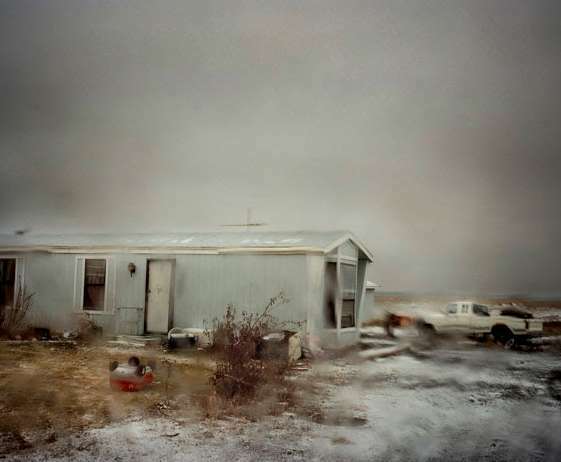 The first exhibition in Switzerland on one of the most admired and influential American photographers of his generation, Todd Hido (1968): In the Vicinity of Narrative reveals an eminently cinematic work, with images as magnetic as they are strange. The work of Thibault Brunet inscribes itself within landscape photography, particularly in the tradition of major photographic surveys of the 19th and 20th centuries. Yet, this artist has never owned a traditional camera. As his previous work has shown, he excels in depicting the virtual world. PR Info _ Todd Hido _ In the Vicinity of Narrative: MBAL presents the first exhibition in Switzerland on one of the most admired and influential American photographers of his generation, Todd Hido (1968). In the Vicinity of Narrative reveals an eminently cinematic work, with images as magnetic as they are strange. From houses seen from the outside, abandoned interiors, blurred landscapes taken from the windshield of his car, female characters photographed in motels rooms, Hido’s photographs are like stills from films that the viewer must imagine, or scenarios that someone like David Lynch might develop. In Hido’s work, there is always a muted worry, a feeling of vacuity, and a form of melancholy without object. Passionate about photobooks, this artist has published more than a dozen books to date. The exhibition unites a number of distinct series in a brand new exhibition, while unveiling the working methods of the photographer, creating at MBAL a new narrative with his images. Thibault Brunet _ Territoires Circonscrits: The work of Thibault Brunet (1982) inscribes itself within landscape photography, particularly in the tradition of major photographic surveys of the 19th and 20th centuries. Yet, this artist has never owned a traditional camera. As his previous work has shown, he excels in depicting the virtual world. This time, Territoires Circonscrits, his latest series, features real places. 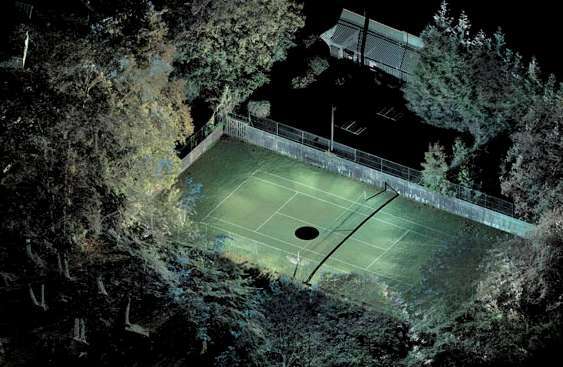 Equipped with a 3D scanner made available to him by Leica Geosystems, the artist records 360 degrees of the environment. This state-of-the-art apparatus restores space in a cloud of points that approximate a virtual model. Yet, these are real places that the artist unveils from a number of angles. The movement of three-dimensional images allows the visitor to literally „cross“ the temporally suspended landscapes. The result, closer to drawing than photography, announces a representation of the landscape of tomorrow.